The country will mourn for 100 days, the time it took in 1994 for 800,000 Rwandans to be massacred. Most were minority Tutsis, killed by ethnic Hutu extremists. The commemoration activities began with the flame-lighting ceremony at the memorial, where about 250,000 victims are said to be buried. The flame will burn for 100 days. 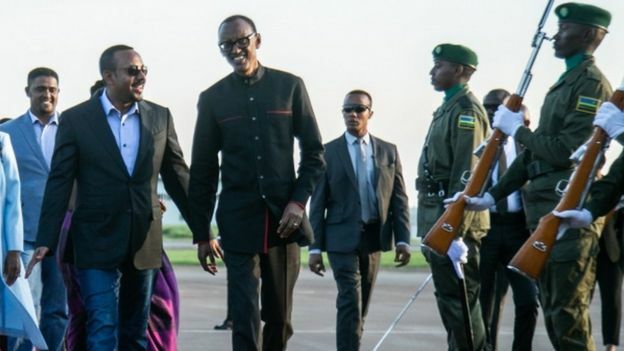 He will then lead a vigil at the Amahoro National Stadium, which was used by United Nations officials to try to protect Tutsis during the killings.